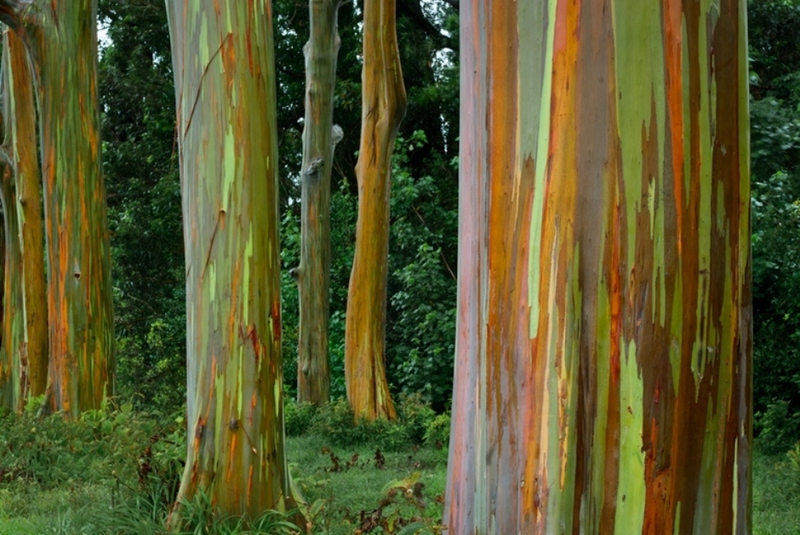 The Rainbow Eucalyptus Tree has the most beautiful bark amongst all the trees on the earth. The bark appears to be hand painted with different shades of color. The smooth and flaky bark sheds its layers at different times and what appears is amazingly stunning. Different colors appear on the bark that looks like a rainbow. Again when the new bark age, new colors appears. The color of the bark constantly changes and the tree never has the same color pattern more than once. The Dragon’s Blood Tree is unique because of its appearance. It looks like an upside down umbrella. The name of the tree is given due to the dark-red sap its produces. The sap is used for medicinal purposes. 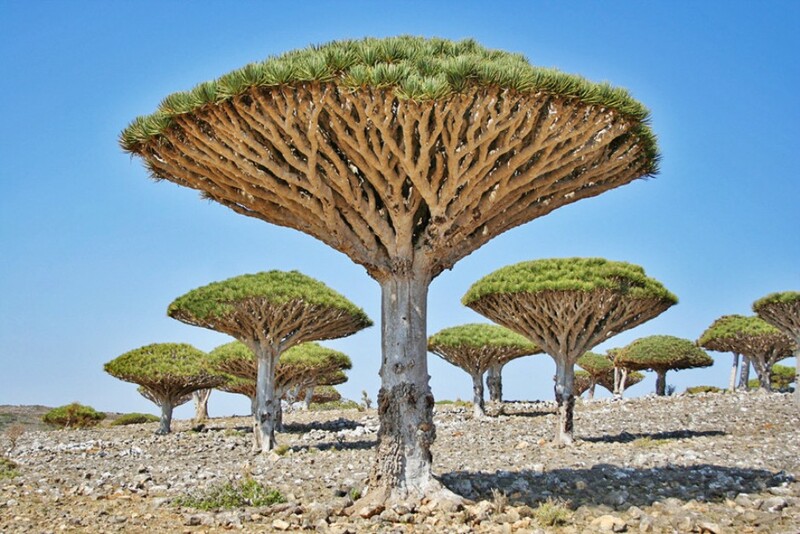 Unlike other trees the branches of the Dragon’s Blood tree at maturity produces an umbrella shaped crown and the leaves remain crowded at the branch tips. The tree looks like a giant mushroom. The Teapot Baobabs are trees with a distinct shape which make them look very strange. 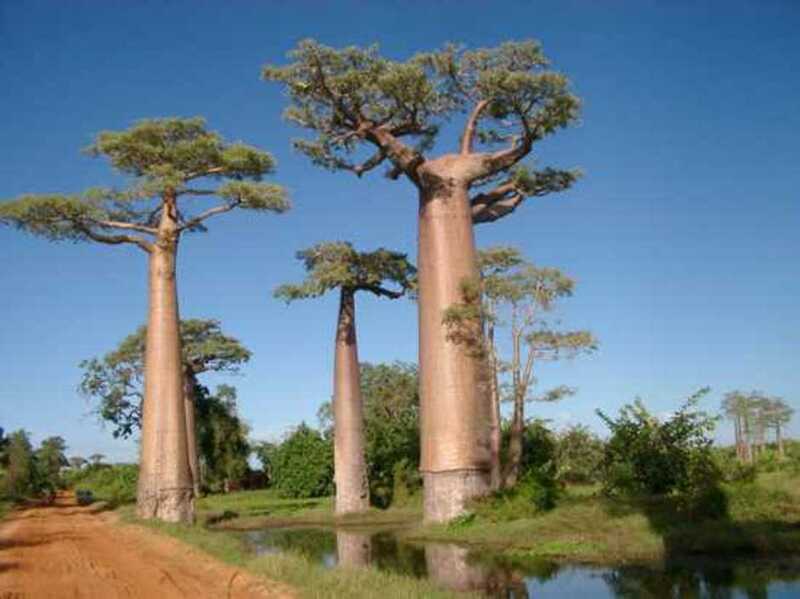 These trees are found in Madagascar. These trees have no leaves most of the time. The trunks of the trees are thick and fire-resistant and can store water. Some Baobab trunks are so thick that people reside in them. The Prison tree is in Western Australia. 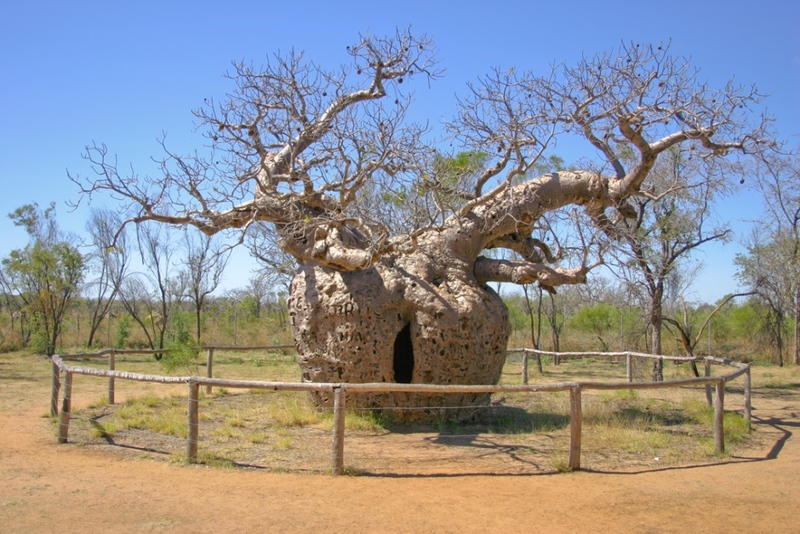 In the 1890s the Baobab trees with wide hollow trunks were used as temporary prisons. Chapel Tree is unique because it is not just a tree, but also a religious place and a building. It is an Oak Tree with a huge trunk. In the 1600s the chapels were made in the tree. A staircase winding around the trunk is made to reach the chapels. 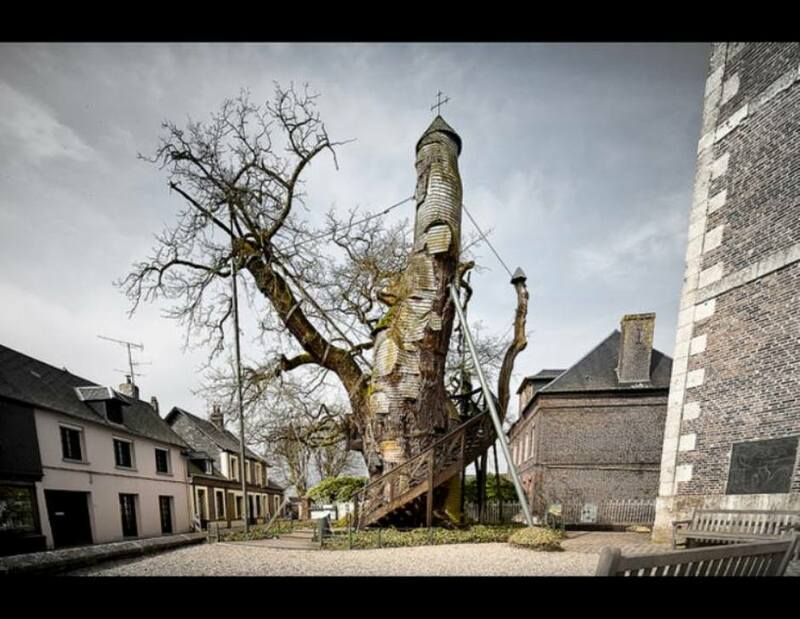 Already it is more than 800 years old now and some parts of the tree are already dead. The tree is now covered with oak shingles to protect it. 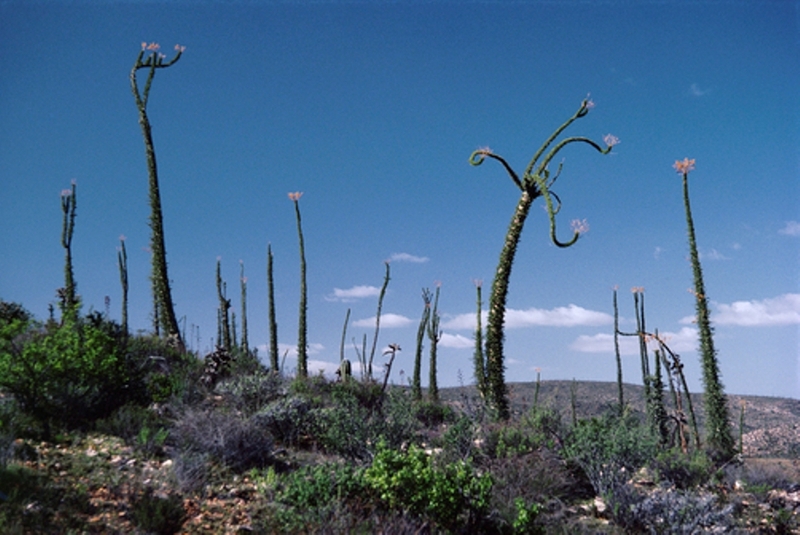 The Boojum tree looks like a huge cactus. The inner wood of the thin trunk is very soft and the trunk therefore can grow in sinuous shapes and can grow high. As the tree grows in the desert it has small leaves covering the trunk to reduce water loss. When it’s time to flower the top of the trunk is covered with a cloud of cream blooms. 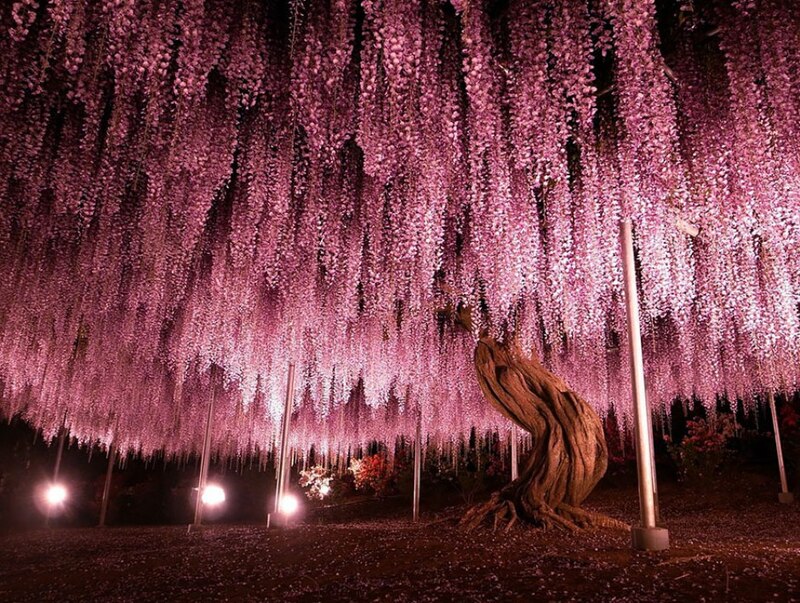 This massive Wisteria of Japan is a flowering vine. 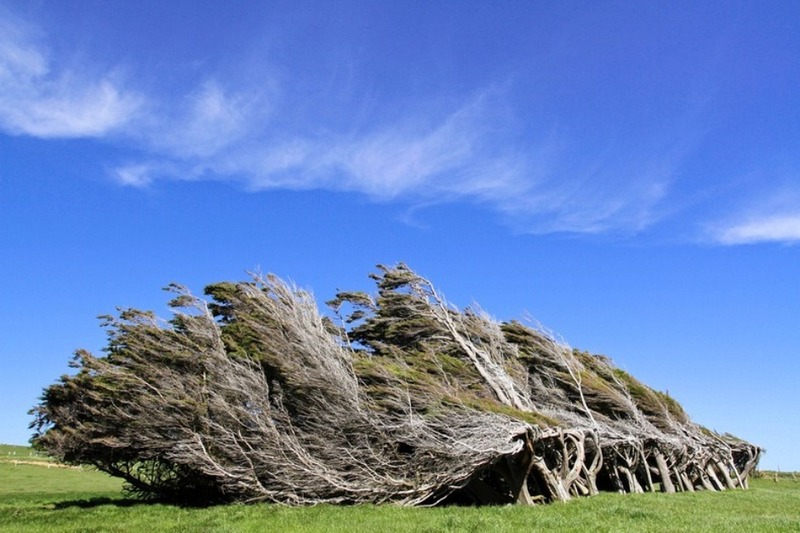 The intense winds of New Zealand bent the trees. The trees are twisted and blown in all sorts of directions from the continuous force. The trunks can stand straight but the branches make them fall back to the ground. 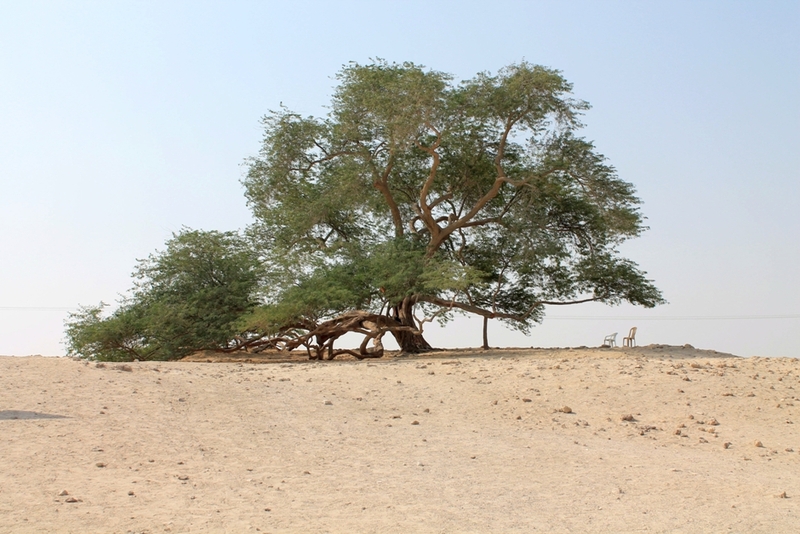 The name given to the tree is because of its mysterious survival in the desert without water. This 400 hundred year old tree stands alone in the desert. Legend is that the place where the tree is was the location of the Garden of Eden. The Bristlecone Pines are the longest living trees. They grow and survive in adverse conditions of cold temperatures and high winds. The oldest Bristlecone pine tree is more than 5,000 years old.